Phil King, Bernard Welt and I have written the newly released DREAMING IN THE CLASSROOM: PRACTICES, METHODS, AND RESOURCES IN DREAM EDUCATION, from the State University of New York Press. It has been a long time coming, and we are grateful to all the teachers we interviewed in the course of our research. The cover of the book is a photo taken by Justin Knight of the walking labyrinth in the back courtyard of Harvard Divinity School in Cambridge, Massachusetts. The creation of this labyrinth was inspired by a dream experienced by Laura Lamp, an administrator at HDS. The first two chapters lay out the basic issues and principles that come into play any time a teacher brings the subject of dreams into the classroom. We especially emphasize dreaming as a resource in writing and composition classes, connecting dream experience with the development of fundamental academic skills. It felt good last week to give a copy of the book to my youngest son’s 4th grade teacher, Jeff Grether at Windrush School, whose dream-and-writing assignment is mentioned on p. 182. At a time when Christianity and Islam appear to be mortal enemies locked in an increasingly bloody “clash of civilizations,” new insights are needed to promote better mutual understanding of the two traditions’ shared values. 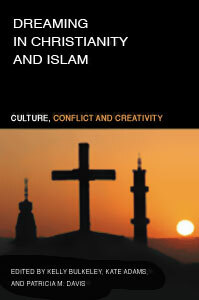 Dreaming in Christianity and Islam: Culture, Conflict, and Creativity (edited by Kelly Bulkeley, Kate Adams, and Patricia M. Davis (Rutgers University Press, 2009) provides exactly that. This new book is a collection of articles by international scholars who illuminate the influential role of dreaming in both Christianity and Islam, from the very origins of those traditions up to the present-day practices of contemporary believers. Dreams have been a powerful source of revelation, guidance, and healing for generations of Christians and Muslims. Dreams have also been an accurate gauge of the most challenging conflicts facing each tradition. Dreaming in Christianity and Islam is the first book to tell the story of dreaming in these two major world religions, documenting the wide-ranging impact of dreams on their sacred texts, mystical experiences, therapeutic practices, and doctrinal controversies. The book presents a wealth of evidence to advance a simple but, in the contemporary historical moment, radical argument: Christians and Muslims share a common psychospiritual grounding in the dreaming imagination. While careful, sustained attention will be given to the significant differences between the two traditions, the overall emphasis of the book is on the shared religious, psychological, and social qualities of their dream experiences. Throughout their respective histories Christians and Muslims have turned to dreams for creative responses to their most urgent crises and concerns. In this book the contributors apply that same imaginative resource to the current conflict between the two traditions, seeking in the depths of dreaming new creative responses to the global crisis of religious misunderstanding and fearful hostility. Included in the book are chapters on dreams in the Bible and Qur’an; on the early history of Christian and Muslim beliefs about dreaming; on religious practices of dream interpretation; on the dreams of children, women, college students, and prison inmates; and on the use of dreams in healing, caregiving, and creative adaptation to waking problems. This book offers a new integration of religious thought and cognitive neuroscience. By focusing on experiences of wonder—startling encounters with the true, real, and/or beautiful—the author shows that human religiosity (and indeed all creative experience) depends on unexpected moments of radical decentering in which ordinary brain-mind systems are profoundly transformed, generating what science calls new consciousness and what religions call divine revelation. 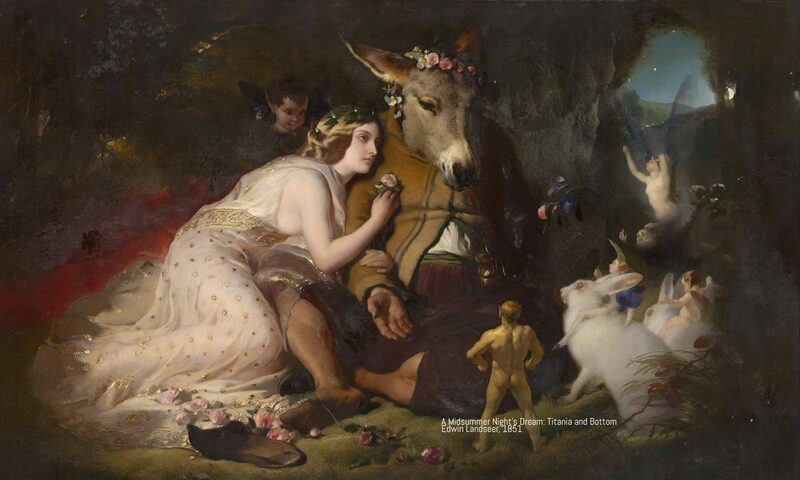 The Wondering Brain explores four different spheres of wonder: dreams, sexual desire, art, and contemplative practice. Each chapter begins with a narrative of an individual life in which one of these spheres of wonder appears in especially vibrant form. The details of that narrative are then discussed in relation to the revolutionary findings of cognitive neuroscience (CN), which shed new light on the physiological roots of wonder in the human brain. CN can only take us so far, however, and this is where the resources of religious studies (RS) are brought into play, to provide historical and cultural context, to question the metaphysical assumptions of CN, and to clarify the inspiring, life-changing impact of experiences of wonder. Each chapter ends by returning to the original narrative with a richer appreciation for the dynamic interplay of brain-mind functioning and the religious imagination. 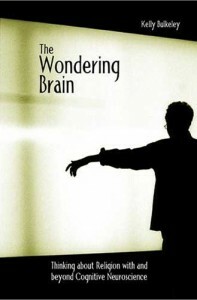 Guided by the pioneering 20th century investigations of Freud, Jung, and James but pushing far beyond them, The Wondering Brain provides a new foundation for the study of religion and psychology in the 21st century. The book also issues a provocative challenge to scholars and general readers alike to think more deeply about the most dangerous of all spheres of wonder—the violent wonder of war. Spiritual Dreaming: A Cross-Cultural and Historical Journey. Dreamcatching : Every Parent’s Guide to Exploring and Understanding Children’s Dreams and Nightmares. Dreams are a regular part of every child’s life and a powerful resource for every parent. Dreamcatching is the first comprehensive dreamwork book covering children’s first reported dreams around age two into adolescence. This practical guide to children’s dreams shows parents how to learn the hopes and fears that their children may not be able to articulate and to nurture their children’s creative, problem-solving, intellectual, and spiritual natures. Siegel and Bulkeley give guidance on how to encourage children to remember and share their dreams, and the book includes a “Dreamcatcher’s Workbook” which is filled with projects using drawing and painting, playacting, and other playful ways to bring to life the meanings of the dream.